As a little girl, I always loved music and speaking. If it had a tune and I could find a crowd, please believe I was performing, but when I was in the third grade, I moved from my hometown in Kentucky, to Charleston, South Carolina. Of course it was different, different scenery, different family, but the most drastic difference was the people. My old town was too small for people to be socially separated by color. We were all friends and all acted the same. When I moved to Charleston however, it was like social segregation was the norm and white people were the majority. Yes, there were some unique cases were some people could play both sides but I wasn’t one of them. In fact, I couldn’t play either side,that’s when I was labeled an Oreo. 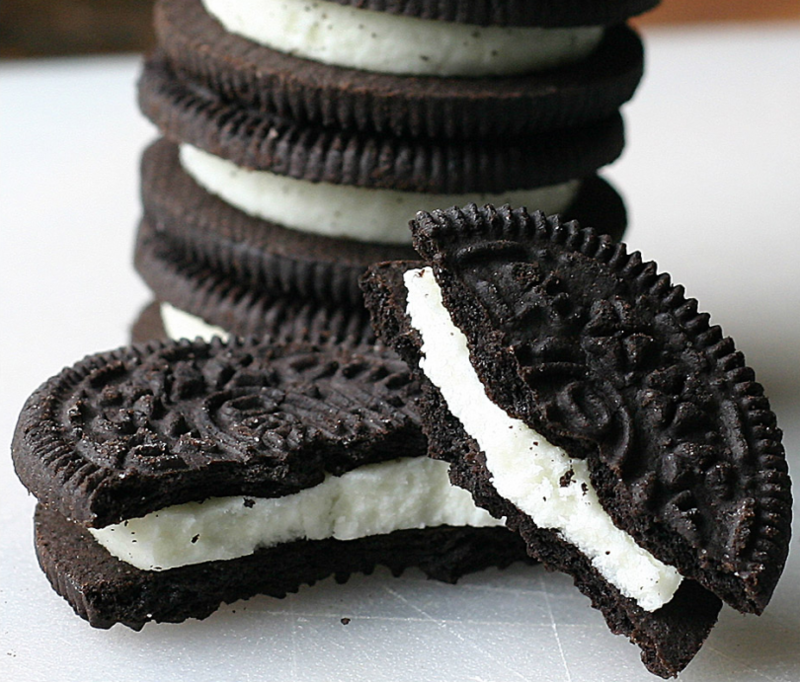 A social “Oreo” is someone who is black on the outside and white on the inside. Apparently, my mixed knowledge of pop and rap music, my ever so sweet and naive nature, naturally curly hair plus my mixed “whitey” dialect placed me right in the Oreo row. Don’t get me wrong, I had friends White, Black, Latino and Asian that I loved; but they were just singular friends. I never felt like I belonged to a community except for my family. I was bullied for years by both sides for being so different and most of y’all know why. As the saying goes, “too black for the white kids and too white for the black kids” and that was oh so real. I felt like a stranger in my own skin. I didn’t feel that I was black enough to be considered a black girl.Most of all, I felt like a failure to all the strong black women in my life. I thought I was the only “Oreo” until I went to high school. I joined choir in high school since I had been in it all throughout my education career. Of course it was bigger since the school was bigger, but unlike any other years it had way more black people in it. My classes had more black people in them, it was more black people than I had ever seen in my life. As time went on, we all connected (since white people were still the majority) and we all became friends. I learned they had a lot of the same interest I did, they had the same sense of humor I did and a lot of them struggled with the Oreo complex as well. The closer we got, the closer I felt to a community. I didn’t feel like an outsider in my own skin anymore. It’s like I felt the blackness I was denied flow back into my soul and I became empowered. For 14 long years, I didn’t think I was a black woman. I believed an “Oreo” is what I was and I was so wrong. My brown skin makes me black. The curl of my hair makes me black. The fill of my lips makes me black. The depth of my eyes makes me black. The spirit of my ancestors makes me black. My soul of a black queen makes me black. My family makes me black. Being born black makes me black and it makes you black too. Never let anyone deny you or push you away from the strong black woman you are. You were black when the only thing you knew was breathing and the only thing you liked was your mother. I thought that to be black you had to meet certain requirements and I was so wrong. No matter what you like,how your body is shaped, how you pronounce your words, what shade you are or how your hair curls, your elegant, brown skin makes you as black as you need to be. Oreos are cookies, not people. Don’t let anyone convince you otherwise. 8 Comments on "Life As a Black Girl: Oreos Don’t Exist"
I’ve had very relatable experiences that you expressed in this article. Thanks for sharing and being so open about your story and journey. Currently in my last year of high school..I’ve been labeled as an ‘Oreo’ for as long as I can remember. I’ve only recently been checking people about it…because I’ve learned that my taste in music whether it be Alternative or Metal it does not magically change my race. Calling someone an Oreo because they enjoy Bring Me The Horizon is basically saying Blacks should only listen to R&B, Rap, and Hip-Hop.. Please please please share your story here: blacklashdoc.tumblr.com I’m writing a documentary about this very thing! Me going through high school now I can relate to this, and I really enjoyed reading this . Thank you for writing this . This was so helpful and made me feel amazing about being a black girl, which is something I’ve needed lately. Thanks so much for your words. Being in a choir doesn’t make you an oreo, speaking “white” doesn’t make you an oreo. i understand your problem coming from a person who struggles being a young black girl in high school that can relate to all of this.